Nationwide Medical Malpractice Lawyers & Attorneys Helping victims anywhere in the U.S.
Nationwide Medical Malpractice Lawyers & Attorneys – Helping victims anywhere in the U.S.
We are taught, either directly or implicitly, from the time we are children that we need to trust what our doctors tell us and to do as they say in order to protect and improve our health. Most of us have never had any reason to doubt what we were given as medical advice because the majority of us have never had a terrible experience while obtaining medical treatment. Despite all of the training that is required to become a doctor, however, the inescapable fact is that they are human and they will make mistakes from time to time. Unfortunately, mistakes made by medical professionals can be and often are debilitating and sometimes fatal. When people are badly injured or worse because of negligent medical care, many are not sure what they should do next. The most obvious first step is to obtain medical care from someone else in order to overcome the harm that was done. Beyond that, many people suddenly find themselves dealing with insurance company representatives who simply want to put the matter to rest as quickly as possible by offering a small sum to help pay for the additional medical costs that were incurred. People who find themselves in this position need to avoid engaging in these conversations before first speaking to medical malpractice lawyers. The nationwide medical malpractice lawyers & attorneys at National Injury Help, has been providing people who were injured by medical negligence with legal representation across the United States. We understand what it’s like to have to haggle with insurance companies and we know what it takes to obtain the necessary evidence from sometimes-uncooperative healthcare executives in order to advance the cases of injured patients. We have earned a reputation as a firm that is serious about getting things done and as one that will simply not hesitate to proceed to trial should such a step become necessary to protect the rights of those who need our help. Of course, there are other mistakes that are often made, but generally speaking those mentioned above are the types of problems our clients have encountered most often. Each of these claims can be difficult to prove without the requisite legal knowledge and experience, as defense attorneys who are retained by doctors, insurance companies and healthcare organizations are also very good at their jobs. This is why people who face this situation should not attempt to deal with it alone. If you or someone you love has been harmed as a result of mistakes made by medical professionals, you need to take immediate action to stand up for your legal rights. You also need to free yourself to focus on your own physical recovery. 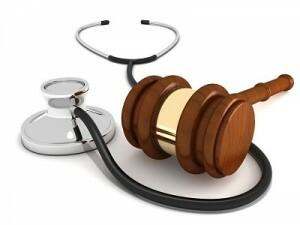 You can do both by seeking the help of the medical malpractice lawyers at National Injury Help. 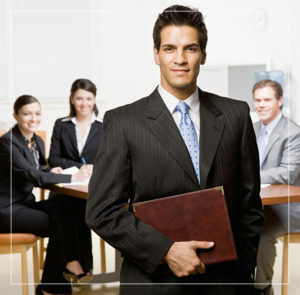 Contact the firm today to schedule a free initial consultation.